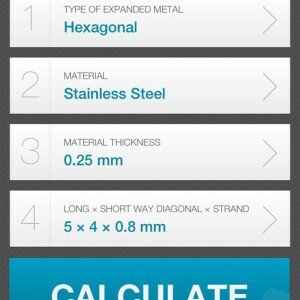 We now make it even easier for you to get the technical data and inspiration that you need anytime, anywhere. 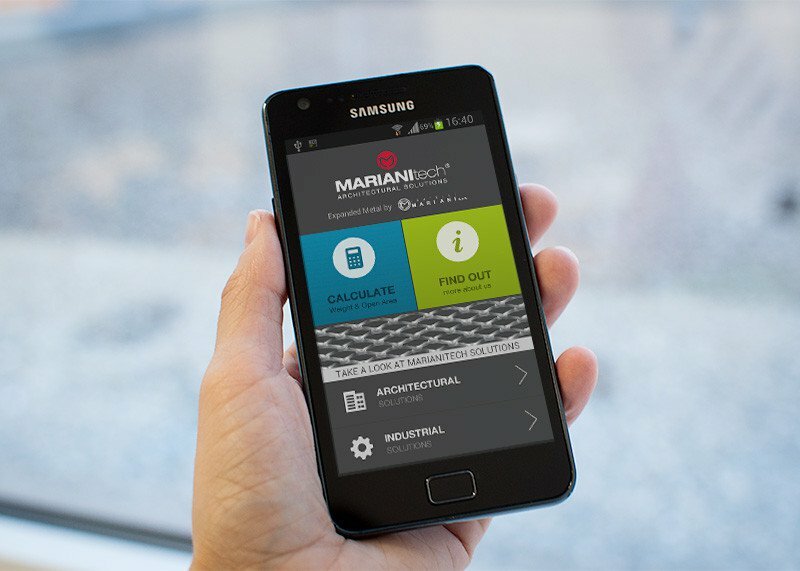 In addition to iOS, MARIANItech® Expanded Metal app now also supports Android devices with full support for phones, phablets and tablets. 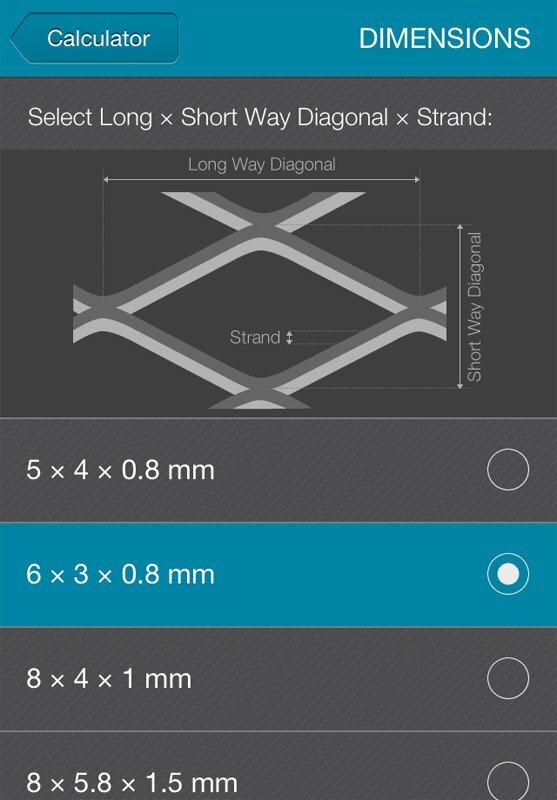 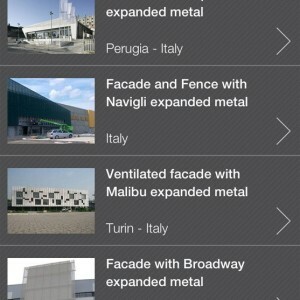 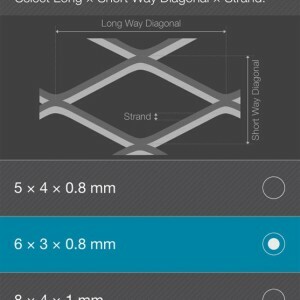 Get Expanded Metal App at AppStore (iOS) or at Google Play (Android). 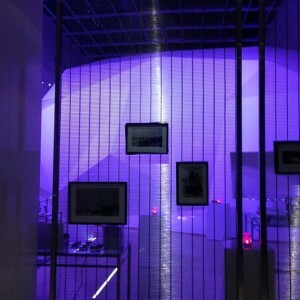 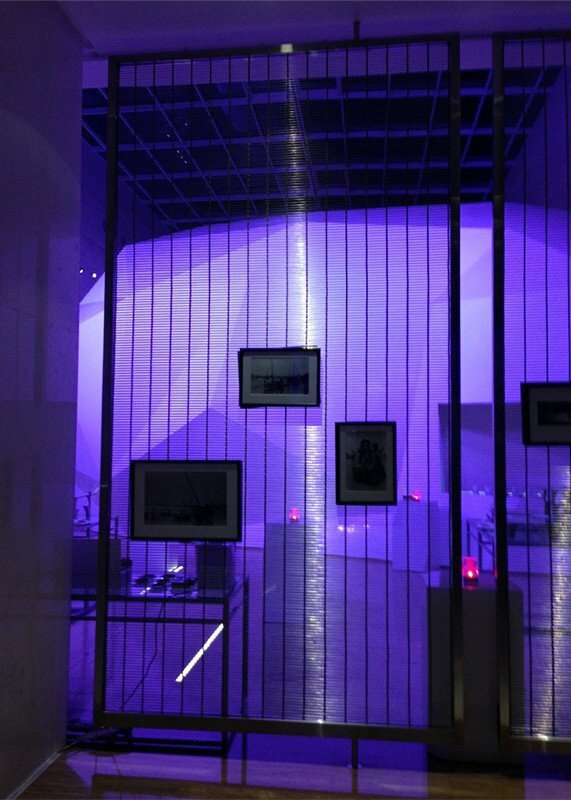 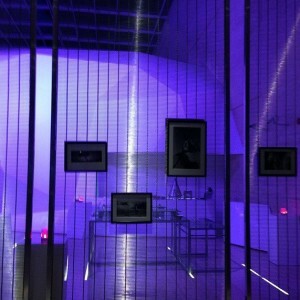 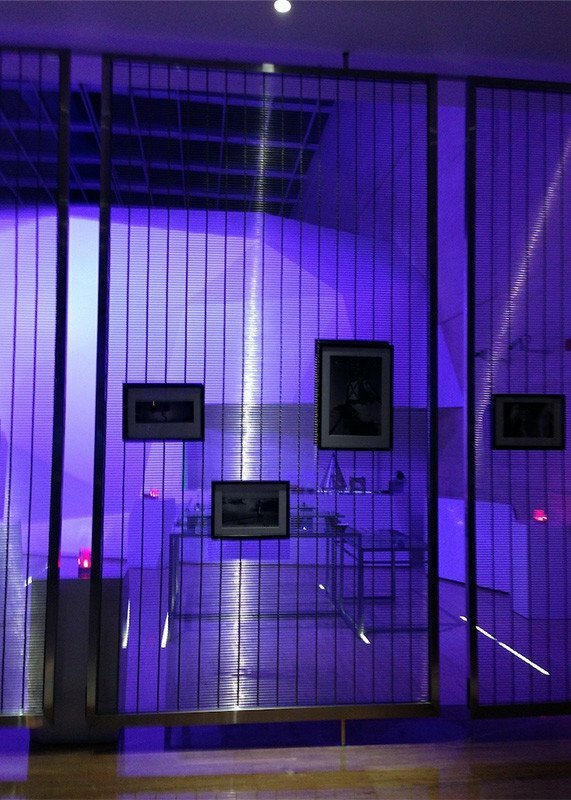 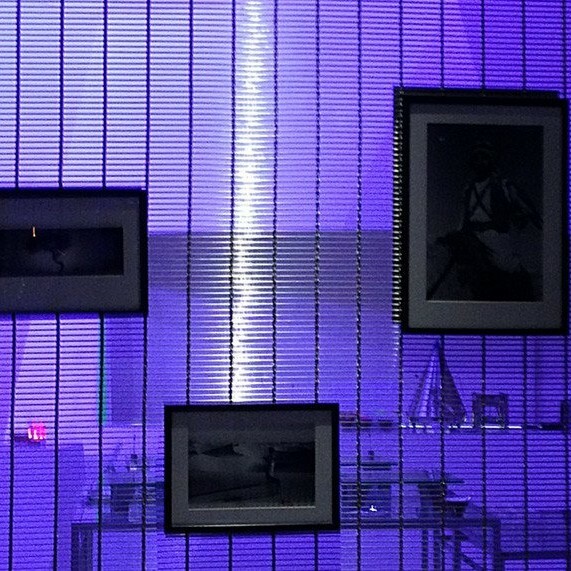 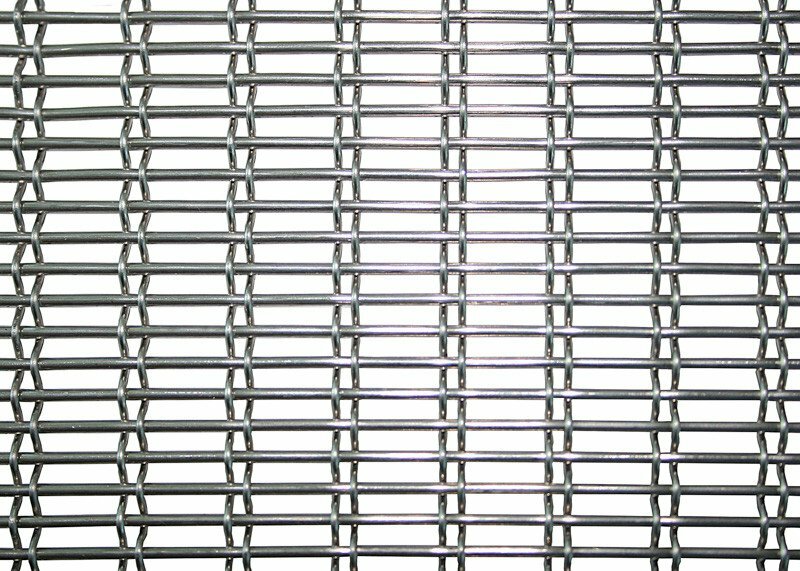 MARIANItech® C70 Cord Mesh was used as an internal partition wall. 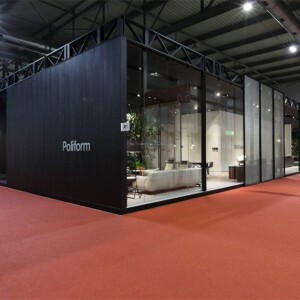 This solution gives structure to the big space while still retaining the original openness. 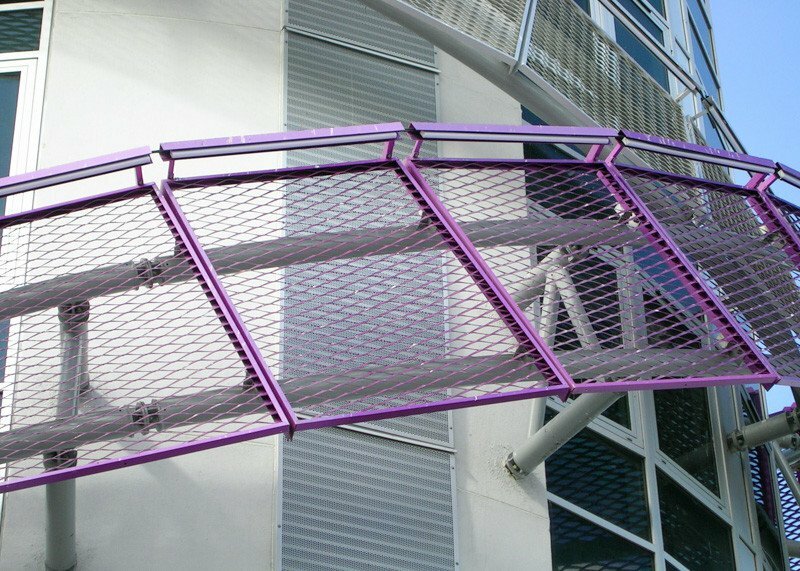 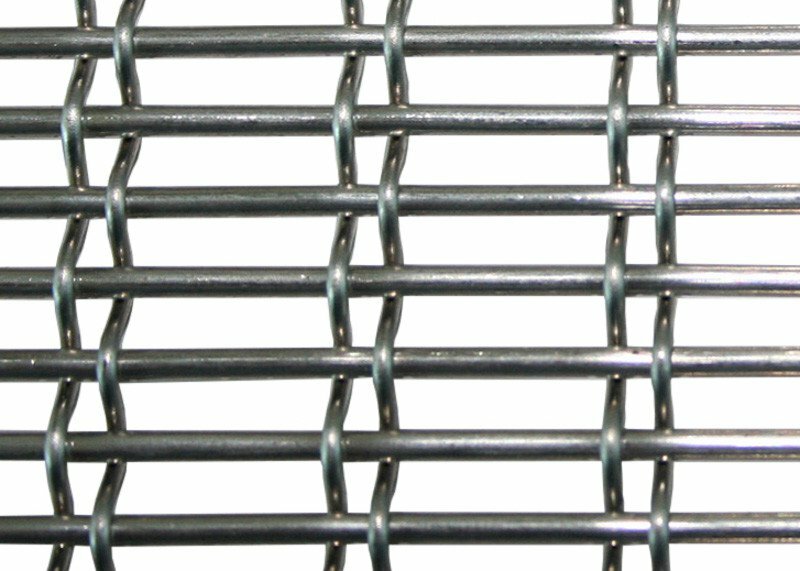 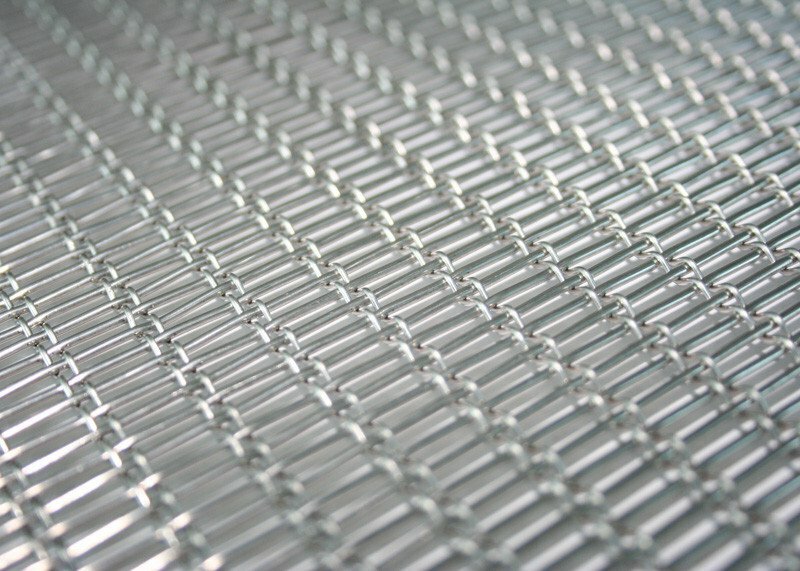 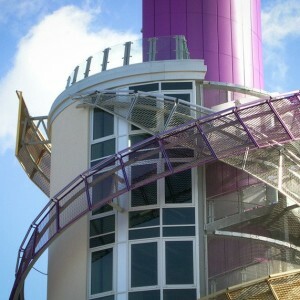 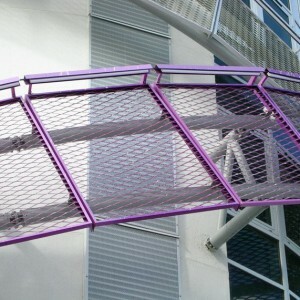 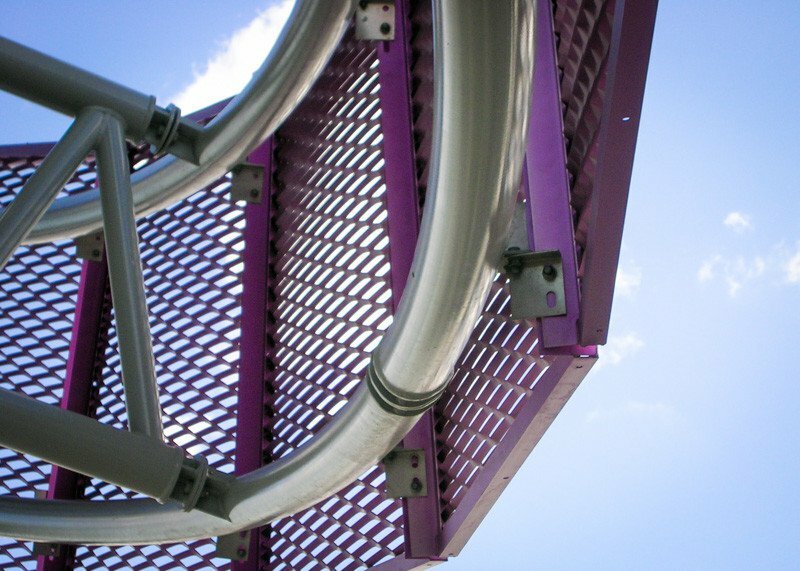 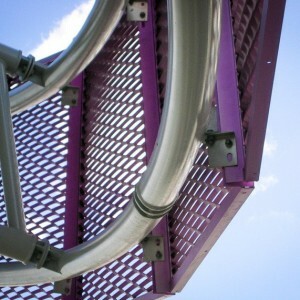 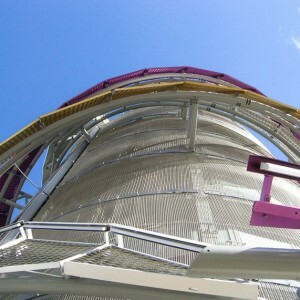 Mesh is attached to the structure with C-secret fixing system – mesh is welded into the frame. 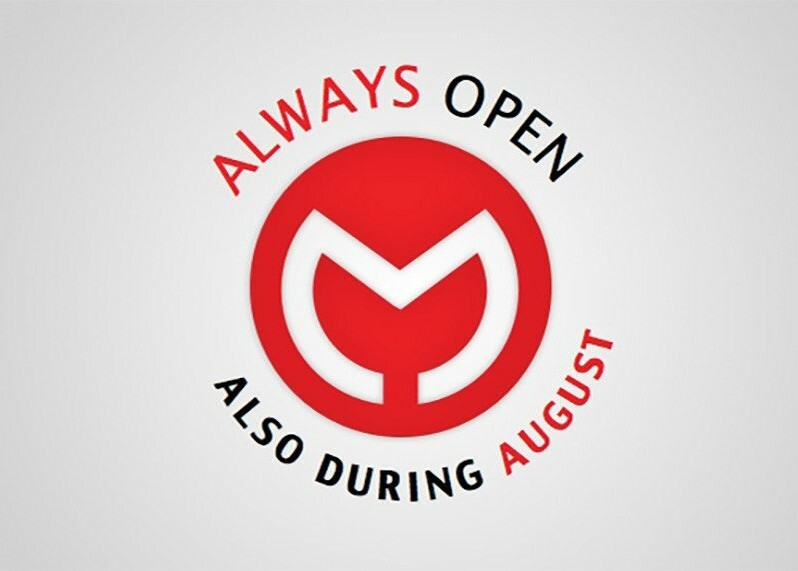 MARIANItech® will also be open during August in order to give you continuous support in your projects and to answer your inquiries sent to us at info@marianitech.com. 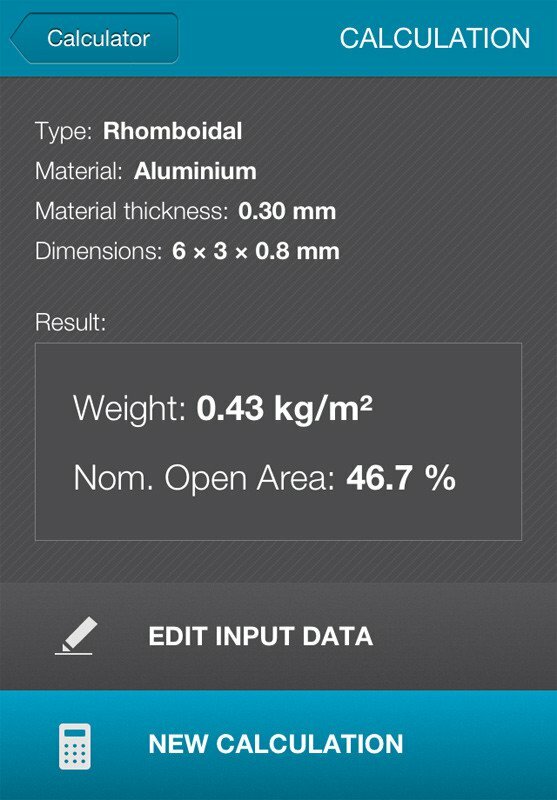 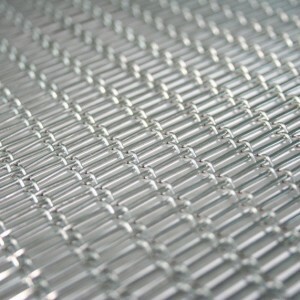 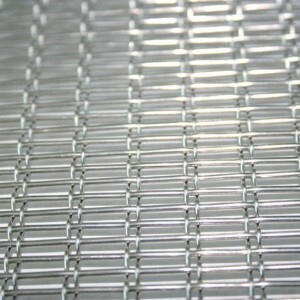 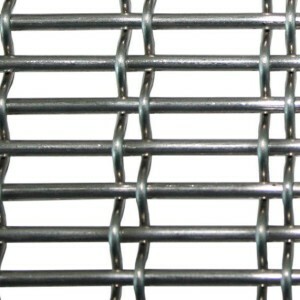 Calculate weight, open area and expansion factor of any type of expanded metal anywhere you are. 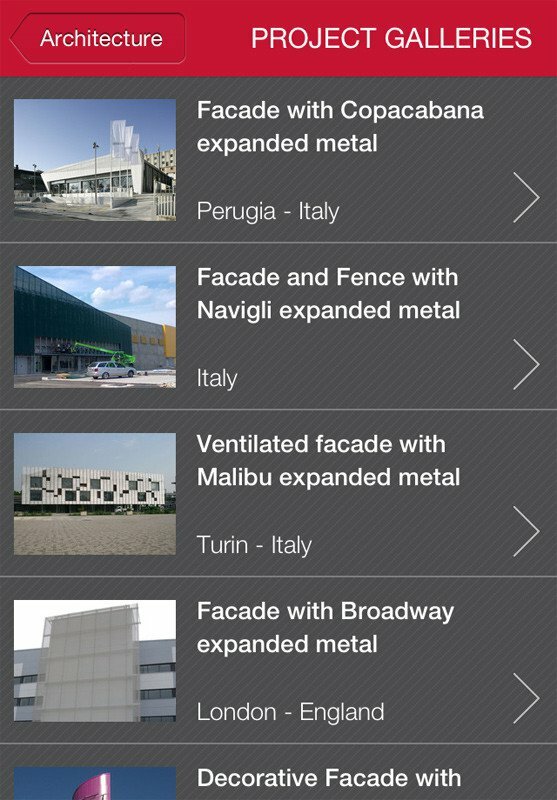 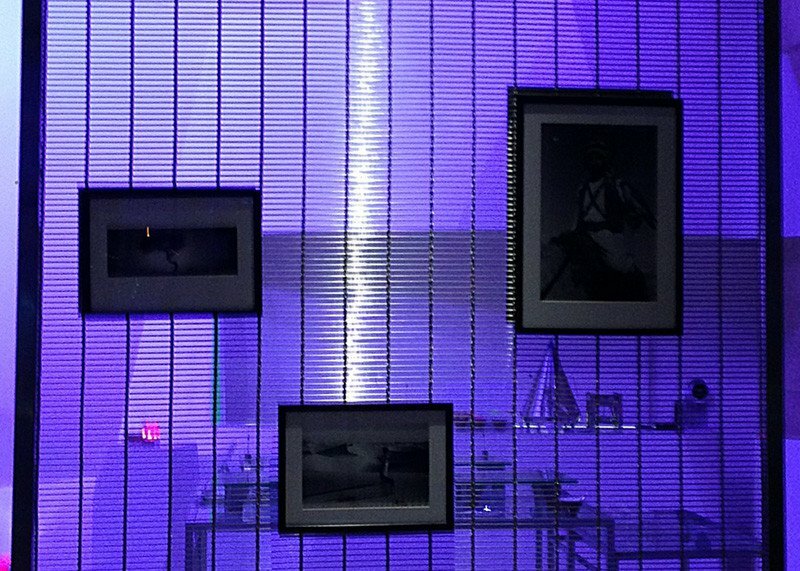 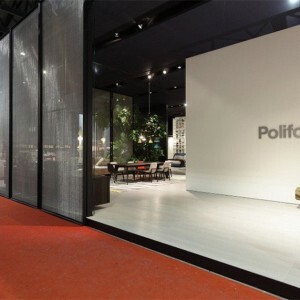 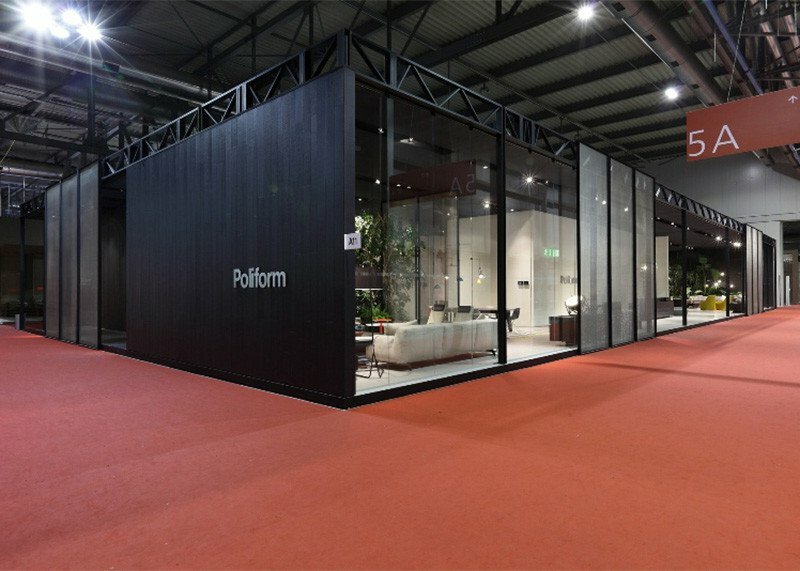 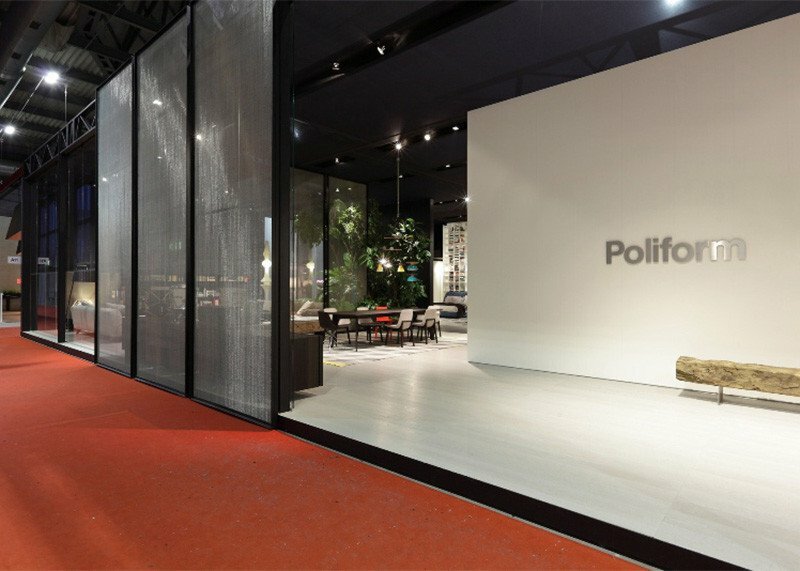 Draw inspiration for your next architectural project from our large collection of project galleries and find all the technical information about our products. 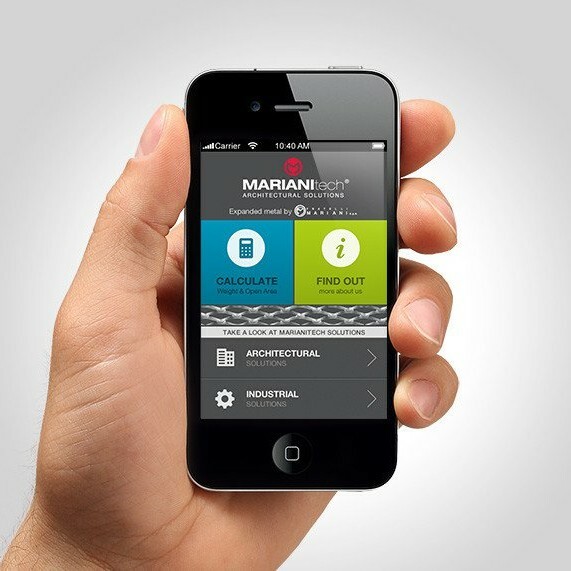 Available for iPhone and iPod touch. 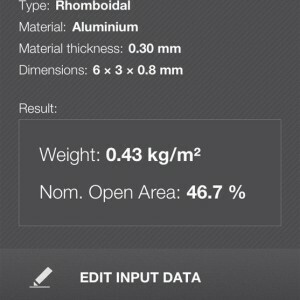 iPad version coming soon. 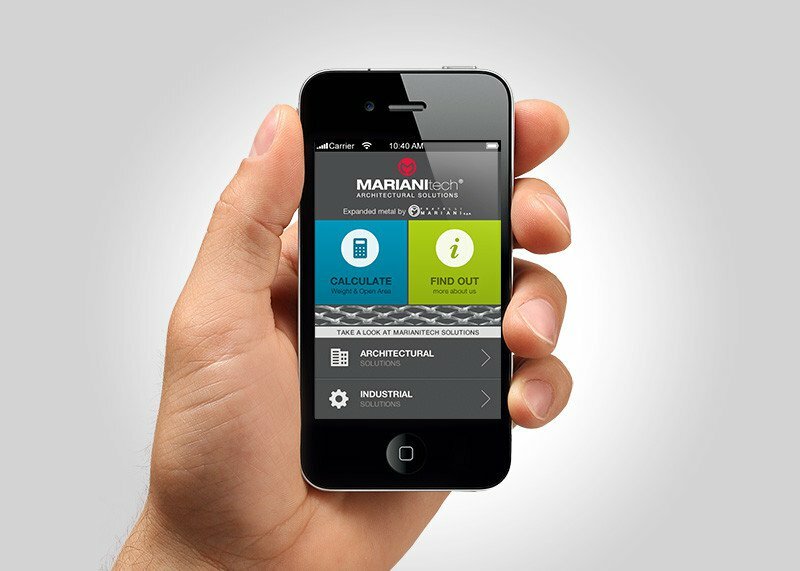 We are pleased to present you our new company video presenting the MARIANItech® brand. 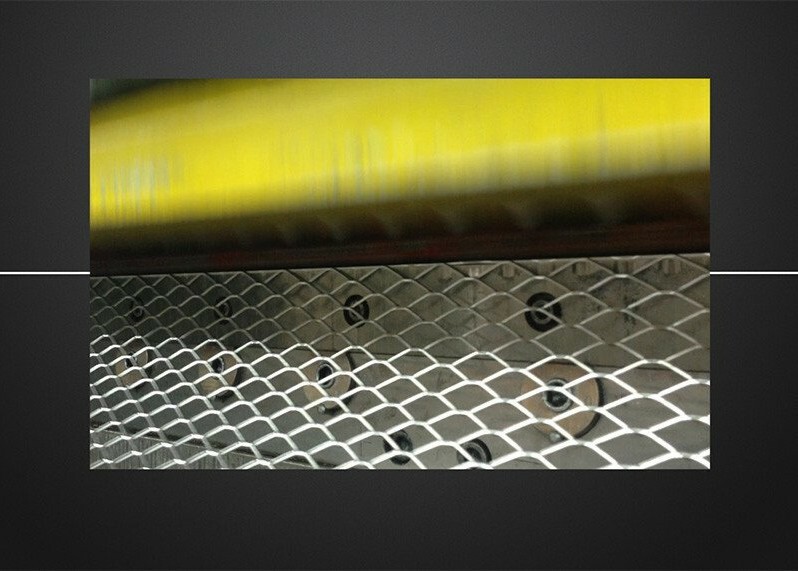 The video highlights the company history, research & development, production and products. 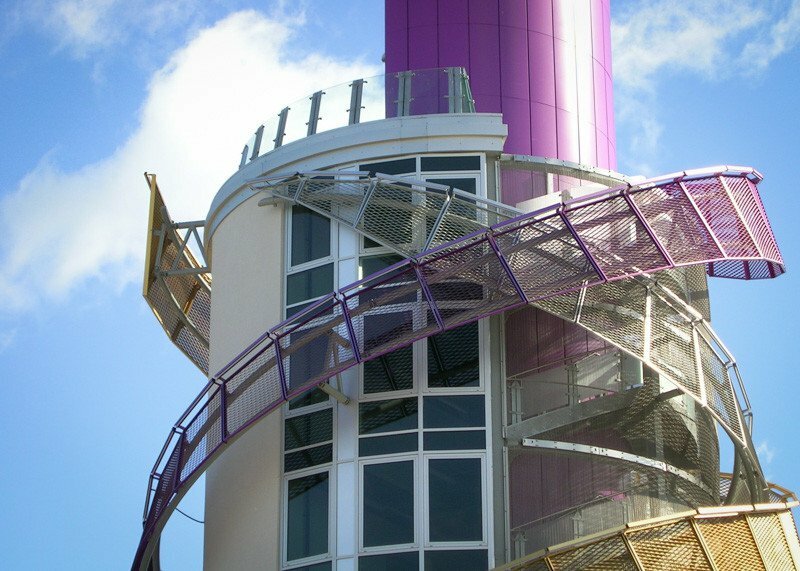 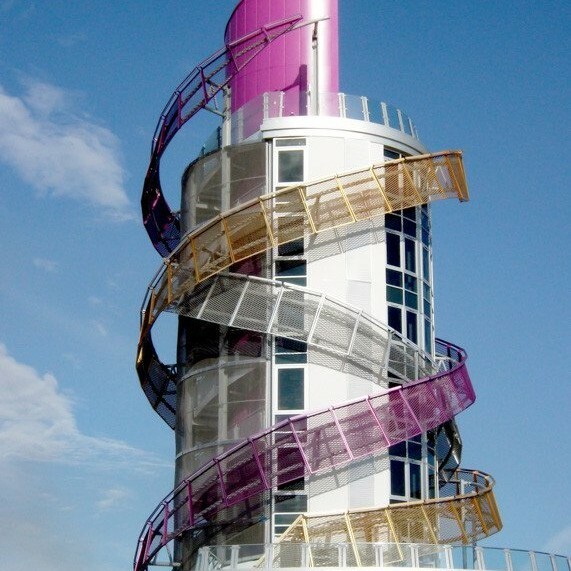 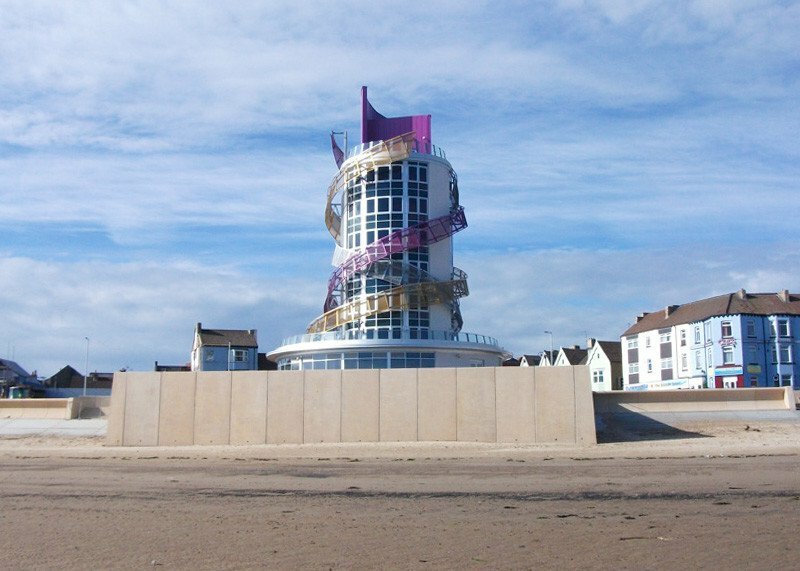 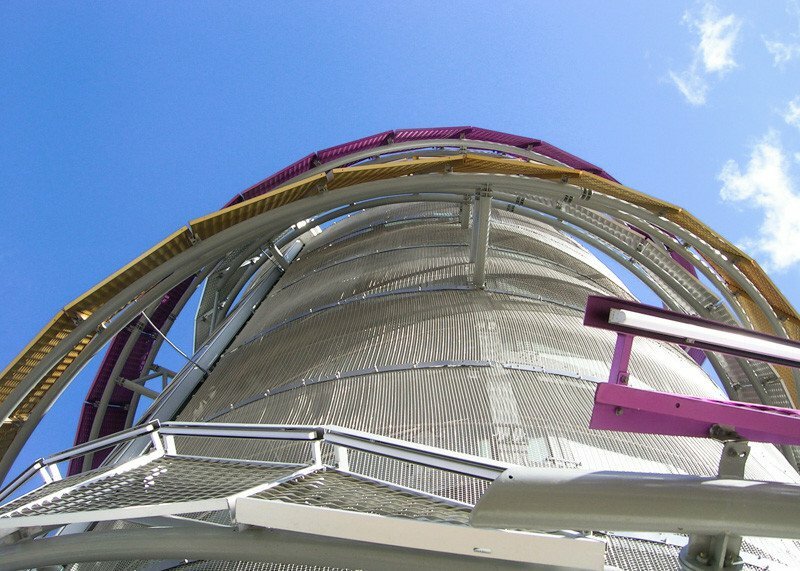 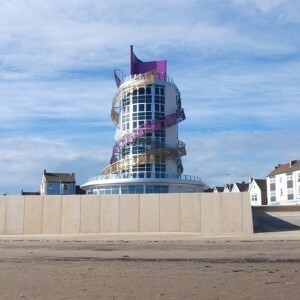 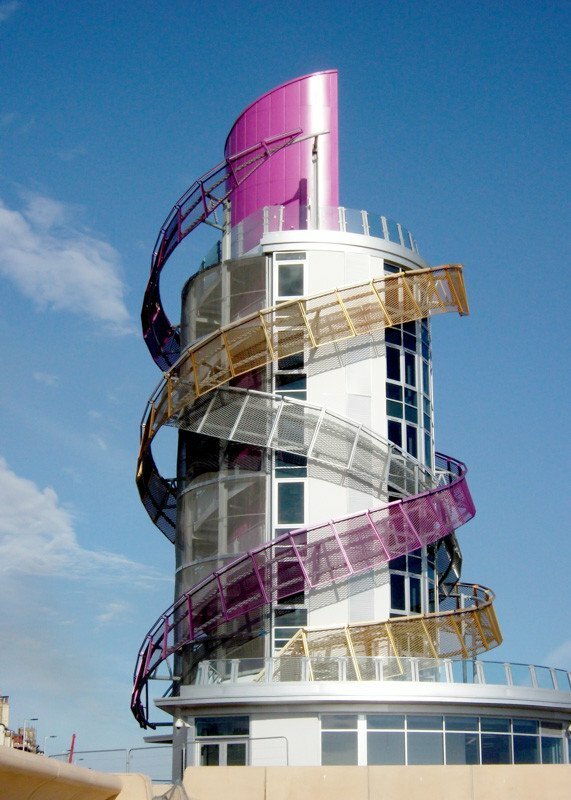 New MARIANItech® project in UK, with BROADWAY expanded metal installed at Redcar Vertical Pier as a part of a wider seafront regeneration project. 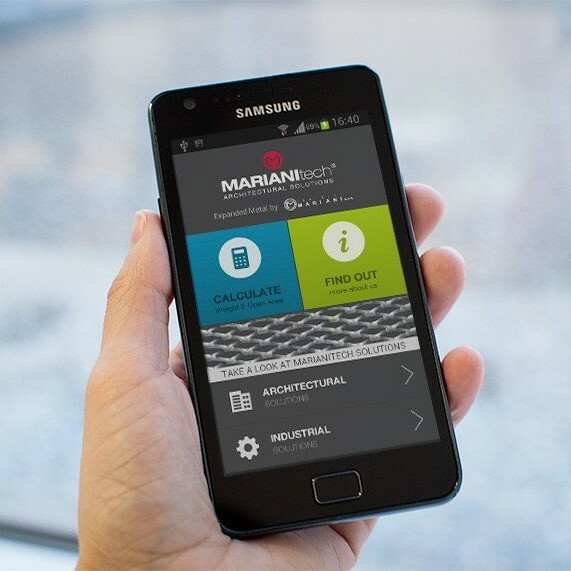 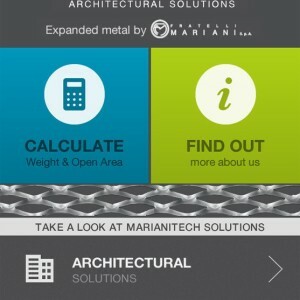 For your convenience we are now presenting MARIANItech® architectural solutions in many additional languages. 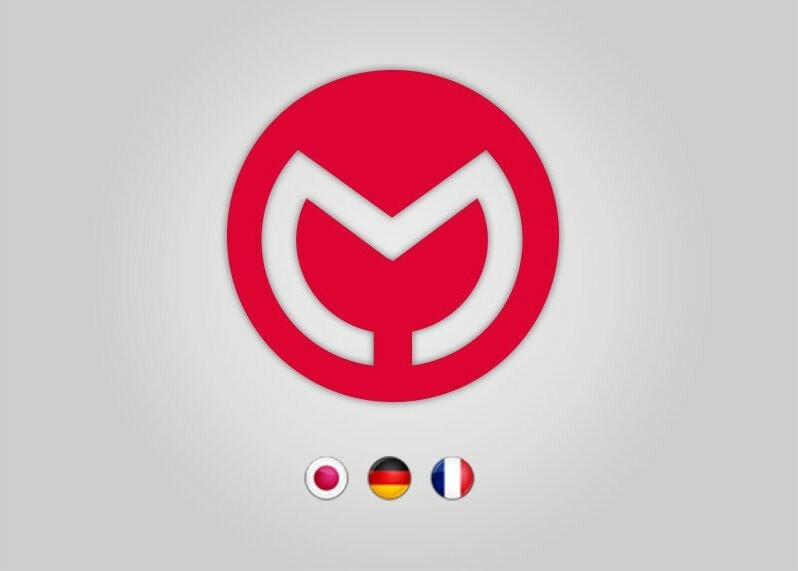 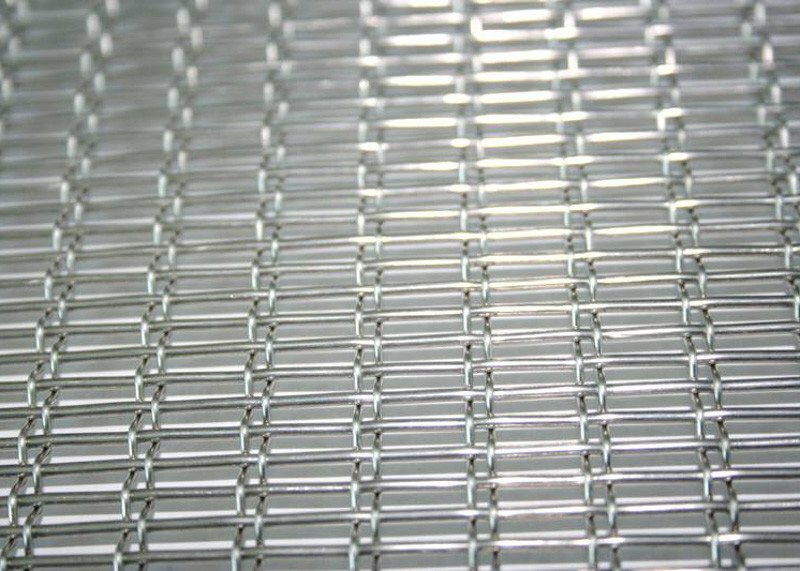 This way we would like to bring MARIANItech® expanded metal, wire mesh and spiral mesh products to new customers in French, German and Japanese language speaking markets, and make existing customers more comfortable when browsing through our wide array of products. 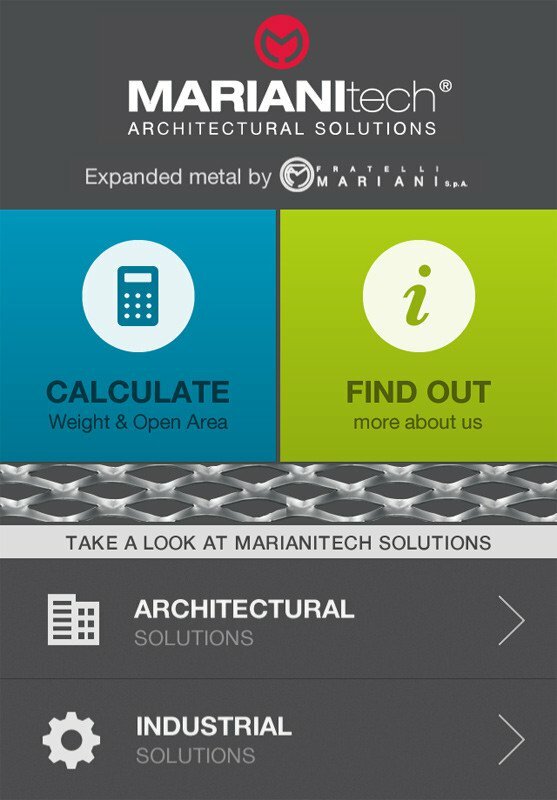 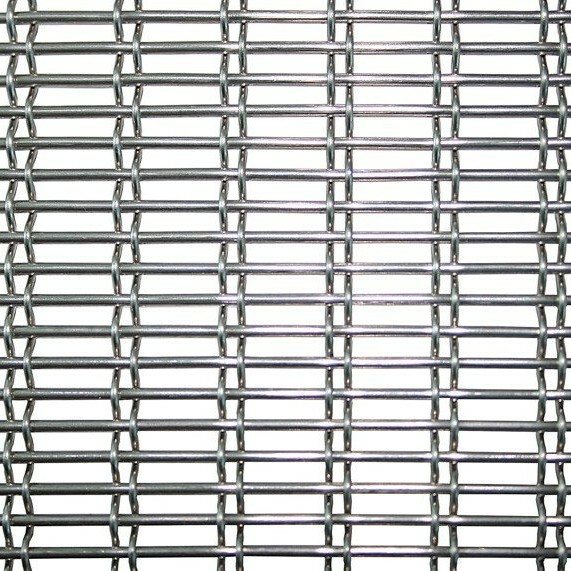 MARIANItech® presents the new wire mesh, DUPLEX, for facade systems, sun screening, cladding metal facade, parapets and interior design applications. 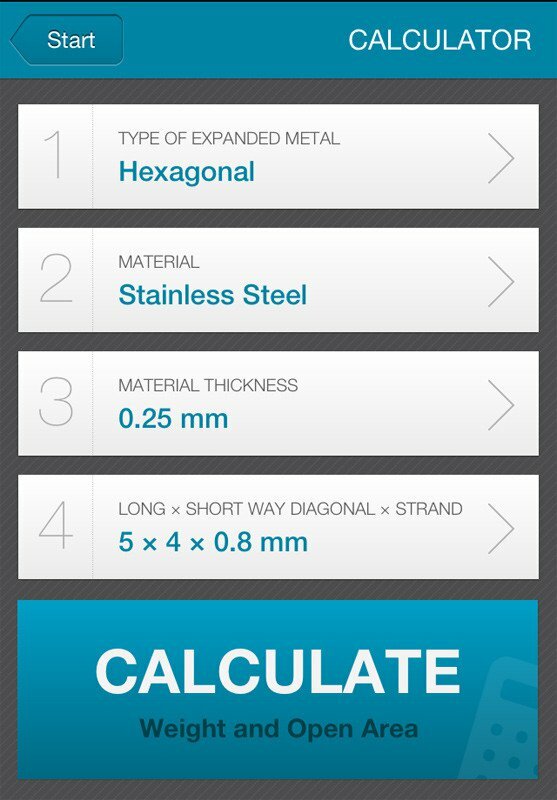 Technical specifications are available in product section.